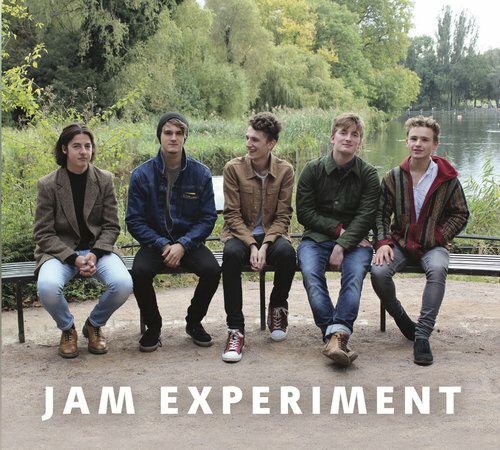 Jazz Experiment are a young UK band, fronted by the twin punch of Rory Ingham’s attractively full-toned trombone and Alex Bone’s neat, fleet saxophone attack, over an ebulliently energetic rhythm section. ‘It’s You’ sets out their stall of good-natured, high-energy jazz-funk - Bone’s penetrating tone and fluid bluesy articulation recalls Dave Sanborn, and Joe Lee obliges with a slap bass break to complete the picture. ‘Chorale’ is a Mansfield composition, with a quasi-classical canon melody taken at a stately pace; ‘You Are The Vibe To My Hang’ is a mid-tempo, sunnily optimistic swing-to-shuffle from pianist Comeau with suitably uplifting rhodes solo from the composer, and ‘First Day’ is an expressively performed downtempo melody from Bone that approaches pop-jazz territory, though the tasteful arrangement leaves plenty of space for the tune to breathe. Bone’s own solo is a nice demonstration of restraint and careful construction; Ingham is richly brassy on Comeau’s closing ballad ‘Last Decade’. The band really shine when they can get to work on the uptempo numbers, like ‘Off On A Rant’ with great ensemble playing that fizzes with youthful energy. The same reserves of energy should see them through their 35-plus date UK tour in support of this record, and win over anyone lucky enough to catch their high-octane live sets; on the strength of this assured debut, they’d be a perfect addition to a summer festival line-up.